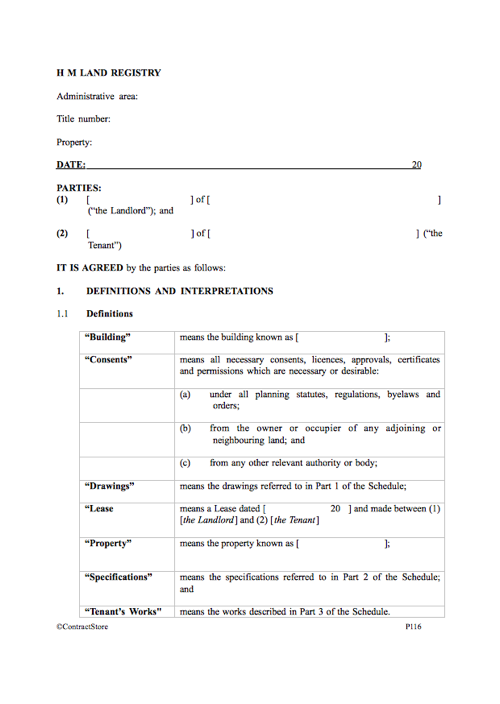 This licence template is designed for use by a landlord and tenant under a Lease when the tenant wishes to make some additions or alterations to the building, usually of a structural nature. Suitable for use in England & Wales, where a tenant wants to make additions or alterations to a building owned by a landlord. 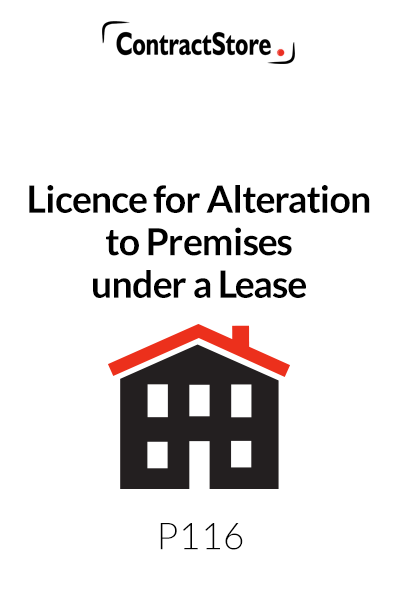 This Licence is designed for use by a landlord and tenant under a Lease when the tenant wishes to make additions or alterations to the building. The Lease may provide that the tenant requires the landlord’s consent for the intended works or it may impose an absolute prohibition on any works being carried out. This Licence deals with each situation. The Landlord will obviously want to consider very carefully whether or not to give permission for works to be carried. Will the works improve the property in the long term? Will the value of the property be increased? 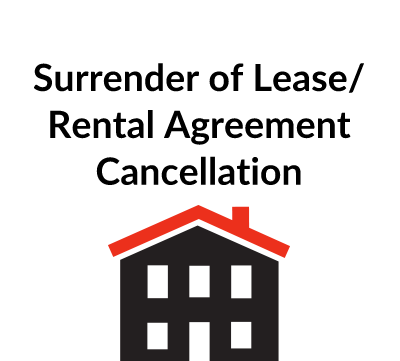 Will the Landlord be able to re-let the property more easily when the tenant leaves? The landlord may be the owner of the freehold. Alternatively, the landlord may hold a lease of the property and, in this case, the consent of the owner of the freehold will almost certainly be required under the provisions of the lease to the landlord. If the property is mortgaged by the landlord or if the Lease is mortgaged by the tenant, the consent of the lender may also be required for the carrying out of the works. 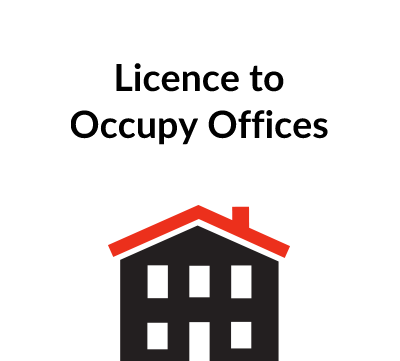 If the Lease is registered at the Land Registry, this Licence will need to be registered as well. If the Lease is not registered at the Land Registry, it will be best to endorse a note on the cover or title page of the Lease that the Licence has been granted. If there is a guarantor for the tenant in the Lease, the guarantor will not be liable for the tenant’s obligations in the Licence unless the guarantor is made a party to the Licence. It is assumed that the tenant will not require any special rights of access to carry out the works. If additional rights are required, the tenant will have to obtain these first. If the Lease is registered at the Land Registry, the details should be given at the top of the Licence. The full name of the landlord and address should be given at the beginning. If there is more than one, then all names should be given. If the Owner is a company, then its full company name and its registered office should be given. The word “Landlord” should not be altered. The full name of the tenant and address should be given. If there is more than one, then all names should be given. If the title is registered at the Land Registry, the title number should be included in the definition of the Property. It is assumed that the tenant wishes to carry out works to a building forming part of a property, and so both the building and the full address or other description of the property should be given. If the building and the property are the same, then it may be simplest to put the same definition for both. The date of the Lease should be given and, if the original parties to the Lease are not the current landlord and tenant, then the names of the parties from the Lease should be given instead. The details in Parts 1, 2 and 3 in the Schedule should be completed. A full description should be given in each case with reference numbers, dates and so on. It will also be best to attach copies of drawings and specifications to the Licence and include a note in the Schedule to that effect. A full description of the works should be given by reference to the drawings and specifications. Clause 2.5 should be adapted to mirror the relevant provisions of the Lease and it may be best to repeat the actual words from the Lease. The appropriate version of clause 3.2 should be used according to the situation. These are the standard obligations imposed on tenants, but they may have to be adapted to suit a particular building or set of circumstances. For example, it may be necessary for the tenant to covenant not to block up an access road or not to cause a nuisance to any other occupiers of the building. The landlord will want to approve the drawings and specifications along with details of what the tenant proposes before giving the Licence. However, the tenant may not want to incur the expenses of applying for the necessary consents until the tenant has the Licence granted. Clause 4.2.3 does, therefore, give the landlord the opportunity to approve the consents first before work starts if conditions are imposed. In certain conditions, the tenant may be entitled to statutory compensation when the Lease comes to an end. However, the statutory right cannot be excluded. The initial words in the clause have been included as these may be sufficient to show that the statutory conditions do not apply. This clause means that the covenants are in effect part of the Lease and so, for example the Landlord would have the right to forfeit the Lease if the tenant was in breach of any of the obligations in the Licence. This is an important point for the landlord and may approve to be a very useful remedy. It is for the tenant to be sure that the works can be carried out without difficulty with all the necessary consents and that the building is suitable. The Lease will probably contain provisions to the same effect as clause 8, but a check should be made to see that this clause fits in with any such provisions. A requirement that the tenant should reinstate the property at the end of the Lease will probably be unacceptable to the tenant. It could prove very costly and perhaps planning permission could not be obtained. 9.2.3 the reinstatement works shall be completed within [ months] of the end of the Lease. This alternative clause may require modification to deal with the circumstances. The landlord should ensure that any insurance policy covers the carrying out of the works and it may be necessary to obtain the insurer’s consent. The insurer may then impose conditions. The Licence can be completed as soon as all the details for the Schedule have been agreed by the parties along with all the other terms. The Licence should be prepared in duplicate with each copy being executed at the end by all the parties. Each party then keeps one copy.